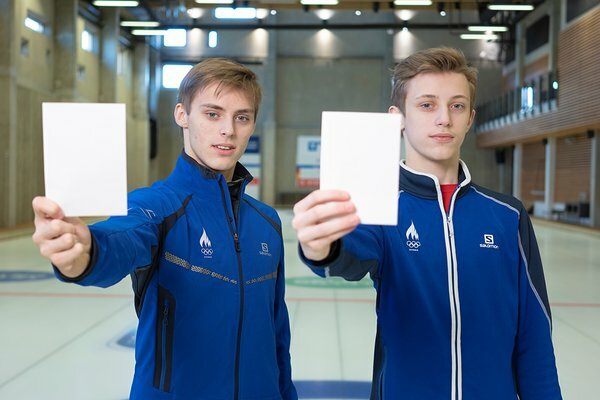 Estonian Olympic Committee celebrates International Day of Sport for Peace and Development on April 6 with athletes raising white cards to urge to notice bullying and intervene. Athletes’ stories and appeals can be found on social media. A number of Estonian athletes and sports figures will be sharing their experience related to bullying and urging observers to intervene: Magnus Kirt, Estonian Athlete of the Year 2018 in the male category and European Championships bronze medallist in javelin throw; Greta Jaanson, the bronze medallist of the 2018 Summer Youth Olympics in rowing; Mihhail Selevko, silver medallist of the European Youth Olympic Festival in figure skating; Aleksandr Selevko, member of the Estonian figure skating team, and the cross-country skiers of the Audentes Sports Gymnasium with Tauri Kaasik in the lead. The videos of those mentioned above and many other athletes, including discus throw Olympic winner Gerd Kanter, rowing Olympic bronze Allar Raja, fencing world champion Julia Beljajeva, body-builder Mister Olympia Ott Kiivikas, and decathlete Janek Õiglane, can be viewed on our website here and the NOC Facebook page “Olen Olümpiafänn”. Also a number of other Estonian athletes and teams are following the example by showing white cards on their social media pages to turn people’s attention to bullying and urge them to intervene. Their photos and videos provide a good opportunity to discuss bullying with your children, students or friends. Estonian Athlete of the Year 2018 in the male category and European Championships bronze medallist in javelin throw Magnus Kirt said that people would always help someone who was weaker in his home town Tõrva. “I, too, was small and weak when I started training at the age of 7. Older boys were quick to take me under patronage, supporting and encouraging me to push on. If you ever witness bullying, do choose to intervene. It will make the other person’s life much easier and, in the end, make the whole country better,” Kirt noted. The bronze winner of the 2018 Summer Youth Olympics in rowing Greta Jaanson emphasised the importance of supporting one another. “When I was in middle school, I was, unfortunately, a victim of bullying as well. The worst thing was to be alone day after day. I remember that one day a girl from our class came up to me and hugged me. It could have been a tiny little thing for her, but for me it meant that somebody cared. If you see someone in need of help or suffering from bullying, do not hesitate to intervene – you never know how much a small gesture of yours might mean for that person,” Jaanson said. The silver medallist of the European Youth Olympic Festival 2019 in figure skating Mihhail Selevko and member of the Estonian figure skating team Aleksandr Selevko called adults for help to stop bullying. “An older girl yelled at a younger one during the training, and the young girl cried in the locker room afterwards. We decided this could not go on, asked the coach for help, to come and explain how things work, and there were no such incidents anymore,” Selevko brothers said. Tauri Kaasik, a cross-country skier who goes to Audentes Sports Gymnasium, used to choose the classmates others made fun of for his team in physical education lessons in middle school. “I felt this was how I could fight bullying. And when we won, we were all happy,” Kaasik said. Other young cross-country skiers of the Otepää branch of Audentes Sports Gymnasium joined Tauri in his appeal to stop bullying when you see it. The celebration of the 6 April was initiated by the International Olympic Committee and the UN as the International Day of Sport for Development and Peace. This day is dedicated to how sport can make society better: sport can unite people, contribute dialogue and foster care and understanding. The symbol of the day is the white card: while the red card in sports stands for a major violation, on 6 April athletes all over the world show the white card which symbolises tolerance, caring and positive attitude. 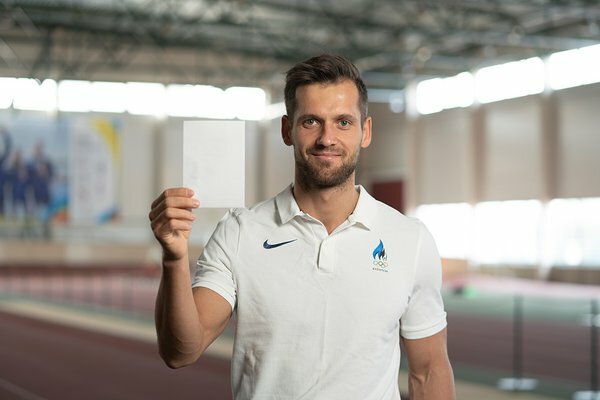 In Estonia, the White Card day is promoted by the Estonian Olympic Committee.